Packages like this render that new All In One Digital Edition absolutely pointless / overpriced. Practically everything is OoS (mad) Are they available instore? I've got to go up a size with George's shirts like these so getting the large for yourself is the right move. Definitely worth it for £2, £3 from cdkeys too. The campaign pays off the fee. Multiplayer however is bad and dead. Capped at 90fps too. You can play versus bots though. Zombies is bad, and there are only two maps which come with the base game. Rest are paid. Not really, I find cdkeys to be crap, so don't use them anymore...lol Thanks anyway, appreciate the heads up. Never miss a 'Call of Duty' deal again! Does it still have an active multiplayer population ? Excellent game. Fantastic campaign, one of the best in the series. Really solid multiplayer. Zombies is great fun too. One of my favourite Call of Duty games. If I had the season pass on PS4, get this for pc, can I use my login on pc etc and still use the season pass? Modern warfare... Been playing online but I'm gonna have to ditch it for the same reason I had to ditch the original on PS3. Aim bot! Every game has a cheater in it! And all Sony plus games are just rentals for as long as you keep giving Sony money, MS on the other hand let you keep the xbox 360 half of your GWG ever month, basicaly meaning for your £25 a year gold you are buying two 360 games a month for a £1 each, and with MS pushing forward with BC on the next xbox it is nice that they are least are treating their customers digital libraries as more than a throw away consumable. Because that would be a level playing field - it's clear he doesn't want that. Great profile pic (lol) (lol) super sand lesbian. Thanks!!! For Xbox version you may aswell get preowned then. Well, it seems that the season pass is included. It appears as every DLC consists of map packs and one thing for the zombies' mode. Does anybody know does this edition give you the map packs for free? Call of Duty games are spectacular adventures with storylines that span across continents. 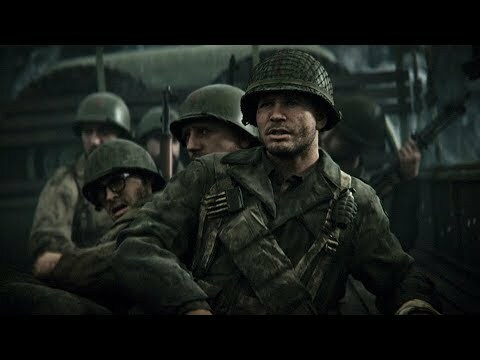 The first entry, Finest Hour, stuck to a Second World War narrative, as does the 2017 release, Call of Duty WWII. Other games like Modern Warfare and Black Ops, explore the reality of current conflicts, while Infinite Warfare moves the campaign into space. Most CoD titles are available for the Xbox 360, the Xbox One, the PlayStation 3, and the PlayStation 4. 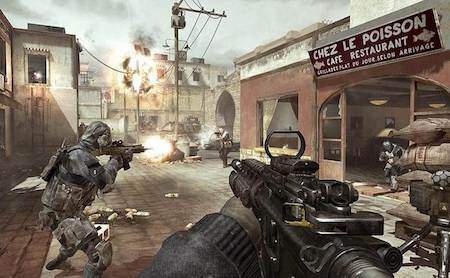 Call of Duty games are also popular as online multi-players, and some versions are downloadable as apps on iOS and Android devices. Originally created in 2003 to compete with the EA title, Medal of Honor, the first Call of Duty game was set in World War II and worked with Microsoft Windows on a PC. It looked at the conflict from a range of viewpoints, putting players into the thick of it in Russian, US and British squadrons on the march across Europe. The title was loved by critics and gamers, and soon became available for other consoles. There have been many sequels to the original and the franchise now boasts 250 million sales worldwide. Which Platforms Can Call of Duty be Played on? Each title in the main Call of Duty franchise is available on a Windows operating system for the PC. CoD games released between 2003 and 2011, are available on the PlayStation 3, the Xbox 360 and the Nintendo Wii. Call of Duty 3 (2006) is also available on the original Xbox and the PlayStation 2, as is Call of Duty: World at War (2008). Call of Duty: Modern Warfare (2007) World at War (2008), Black Ops (2010) and Modern Warfare 3 (2011) are also on the Nintendo DS. Two titles, Black Ops 2 (2012) and Ghosts (2013) are on the Wii U. 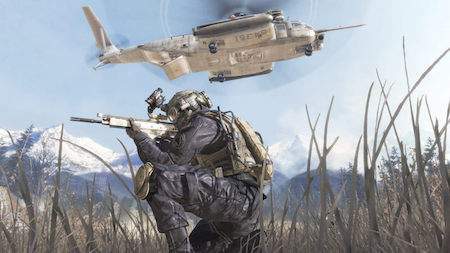 Many earlier games released before 2011, have been remastered and are now available for the Xbox One, and Call of Duty 4: Modern Warfare is also on the PlayStation 4. Games released since 2013 are on the Xbox 360, the PlayStation 3, the Xbox One and the PlayStation 4. From 2016, new Call of Duty games were released solely for next generation consoles. 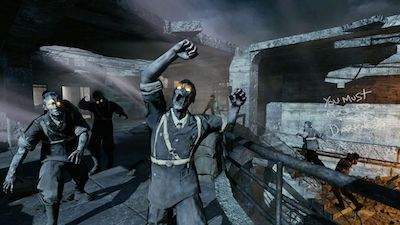 There are numerous Call of Duty games, but three main story arcs dominate the franchise. There are also three important stand-alone games. Call of Duty: World War II – The World War II universe spans from the first ever CoD release in 2003, to Call of Duty 2 in 2005 and 3 in 2006. It also includes Call of Duty WWII, a 2017 release. As the titles suggest, this narrative deals with events during the Second World War from the point of view of soldiers of different nationalities. This is a great entry point into classic CoD gameplay and a good place to start if you have never tried the series before. These titles also provide a degree of insight into early twentieth-century conflict and will be fascinating for players who are interested in this period of history. Call of Duty: Modern Warfare – There are three entries in this series, Call of Duty 4: Modern Warfare (2008), Modern Warfare 2 (2009) and Modern Warfare 3 (2011). Set in a war torn 2011, this story sees US and British forces attempting to quell a civil war in Russia and conflict in the Middle East. The gameplay and characterisation is very strong, with moments of genuine fear and emotion arising from the complex narrative. These titles are a good choice for gamers who enjoy using all the technical military gadgets which come with a more contemporary setting, but also want a game with linear storylines and solid characters. 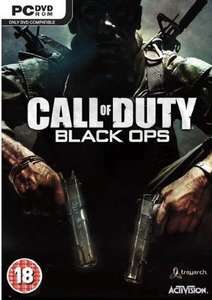 Call of Duty: Black Ops – Starting with Call of Duty: World at War (2008) as an introduction, this series then moves to Black Ops (2010), Black Ops 2 (2012), Black Ops 3 (2015) and Black Ops 4 (2018). This is a more mature storyline, beginning in the Second World War and travelling through to the Cold War of the 1960’s. You play as part of a CIA team tasked with working behind enemy lines, in a range of locations across the globe. If you like games that have a far deeper narrative, a sense of intrigue and plenty of conspiracy theories, then this will be one to take your time over. Each of these entries is a standalone game that is unconnected to wider CoD storylines. They each introduce new themes so it’s certainly worth trying them out, whether you’ve played the other CoD versions or not. Call of Duty: Ghosts – Set in a world where the Middle East has been decimated by nuclear war and oil is scarce, Ghosts (2013) follows a US Special Ops unit attempting to destabilise ‘The Federation’, which is emerging from the oil rich countries of South America. Unusually, gamers mainly play as one character, Logan Walker, and the multiplayer option has many new elements, like adding the ability to wipe out entire areas of a map. For fans of CoD who want a richer multiplayer experience, Ghosts will provide an entertaining challenge. Call of Duty: Advanced Warfare – Advanced Warfare (2014) features dynamic gameplay and new high-tech features like the Exoskeleton, which boosts the physical capabilities of a character. The focus is on future battlefields, but there are also incredible acting performances, including Kevin Spacey as Jonathan Irons, the story’s antagonist. If you have played past CoD titles and you want something similar, but with better combat mechanics, Advanced Warfare won’t disappoint. Call of Duty: Infinite Warfare – Involving a battle for the solar system, Infinite Warfare (2016) took CoD into space putting players in the shoes of Captain Nick Reyes, part of the Special Combat Air Recon. Characters can move around in zero-gravity using tools like grappling hooks, and travel between planets during missions. The multiplayer aspect of this game is not the best in CoD, but the visuals and content are as good as ever. First Strike – The first DLC for Call of Duty Black Ops emerged in 2011, it has four very different maps and a fifth Zombie map, Ascension. In Berlin Wall you fight on both sides of the city, Discovery features an Antarctic outpost, Kowloon unfolds in a rainy Chinese location and Stadium takes place in a hockey arena. In each, you play as part of the Black Ops crew. Nemesis – A downloadable pack for Call of Duty: Ghosts, Nemesis was the final DLC to be released for the game, and came out in 2014. It doesn’t contain any new weaponry, but there are four diverse multiplayer maps. These are Dynasty, where you help to take control of a rural Chinese village, Goldrush, where you have to find your way through a derelict goldmine, Showtime, which is a futuristic homage to the Shipment map in Call of Duty 4: Modern Warfare, and Subzero, where the action unfolds on a submarine base. Continuum – Released in 2017 for Call of Duty Infinite Warfare, this second DLC pack is notable for its innovative layouts and artwork. You can pick different styles of play, from Stealth, Sniper, Heavy or Run n Gun, and there are four different settings. Archive puts you in an art gallery for close combat, Excess uses a city centre penthouse, Scarp is a scrapyard on the moon and Turista is an exclusive spa resort. What’s it Like to Play Call of Duty? The Call of Duty franchise uses a diverse range of formats to keep players interested year after year, but essentially these first-person shooters all remain fast paced and tactical, with a sense of realism. Since the beginning Call of Duty has used enemies of varying strengths and allies that back players up, adding an element of teamwork. They also introduced concepts like ‘shell shock’, where a player is temporarily affected by close explosions, experiencing slower movements, blurred imagery and muffled noise. In the more story driven CoD games like Call of Duty: Ghosts, you still get the massive explosions and shoot outs, but with fewer cut scenes and more scripted moments you’ll experience what’s happening through the eyes of the character and his squad. You can choose from single player, multiplayer and co-op modes, topping up your progress and achievements as you go. Most classes in this system are completely customisable, so you can work on building your skills in a number of areas, rather than specialising in one. Players also get to choose from an arsenal of weaponry, each suited to certain kinds of situation. Light Machine Guns or LMGs are heavy and cumbersome but have a tripod, so are great for holding a position, whilst Sniper Rifles are extremely accurate, even over distances. As a member of a squad with shared goals, you’ll be expected to make decisions about which gun to use and then help to achieve the objective. Making the wrong choices or veering off the mission can often lead to death. There is plenty of freedom on the large online CoD maps, but in single-player mode failure can affect the narrative. The single-player version is more objective driven, with dramatic missions that provide intense scenes of conflict which rarely let up. Games are divided into linear segments which have to be completed, but there is enough space on a map to stop you from feeling like the action is on-rails. There are also plenty of Easter Eggs to discover, especially in the Call of Duty Black Ops series, where interacting with teddy bears and manikins can deliver new skills or surprising gameplay moments. How is CoD Rated Online? In general, Call of Duty games have been well-received by critics. On the review site Metacritic, Call of Duty: Advanced Warfare for the PlayStation 4, which was released in 2014, has an aggregated score of 83, while Infinite Warfare, released in 2016, has a score of 77. Current Call of Duty titles and special editions like Infinite Warfare Legacy Edition for the PS4 can be bought online from retailers like Zavvi and GAME. You can also look for titles in the franchise at Tesco Direct and Smyths Toys. 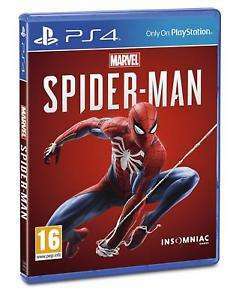 For older games in the series on a range of platforms, you can search for offers at online market places like eBay and Amazon. 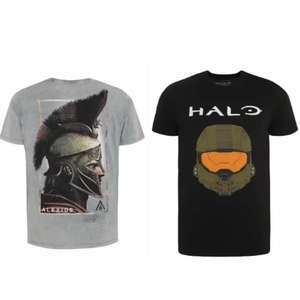 Many more retailers like Asda and Argos have regular sales at Christmas as well as in spring and summer, when they cut prices on numerous video games titles. Alternatively, you can hunt for a deal in the Black Friday sales, when some UK stores will offer probably their cheapest Call of Duty price. 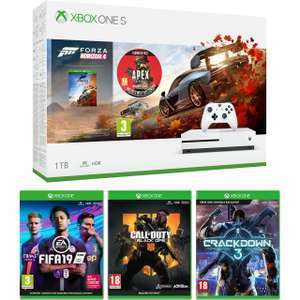 Players can find out about cut price games at the HotUKDeals Call of Duty page, where we list all the freshest deals from both online and offline retailers.